Produced by the Exhibit Supply Co., of Chicago, these issues cover a span of 20 years. Each unnumbered, black-and-white card is printed on heavy cardboard measuring 3-3/8" X 5-3/8" and is blank-backed. The company issued new sets each year, with many players being repeated year after year. Other players appeared in only one or two years, thereby creating levels of scarcity. 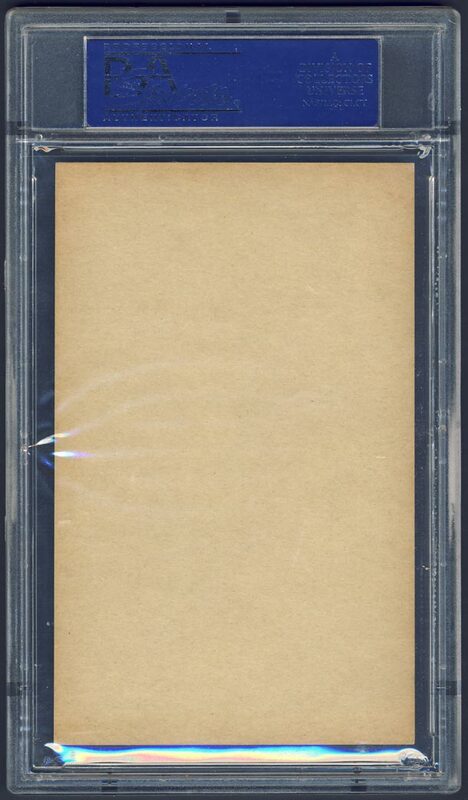 Many cards can be found with minor variations in the wording and placement of the credit line at bottom. 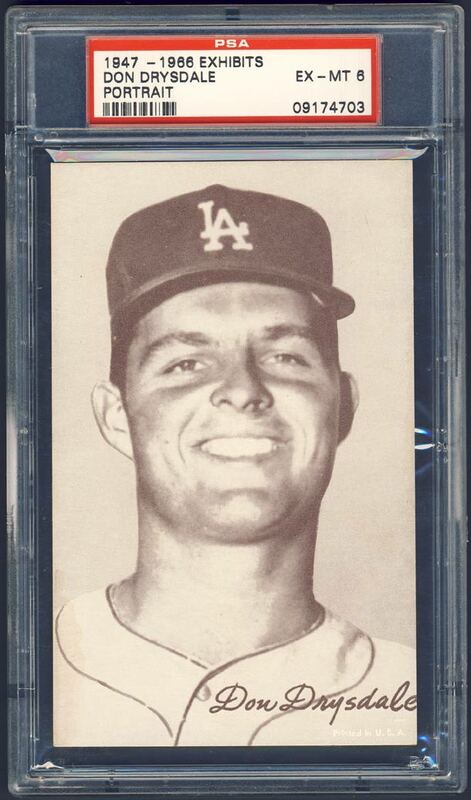 Don Drysdale is pictured on the EX-MT card shown above. He was elected to the Hall of Fame in 1984.